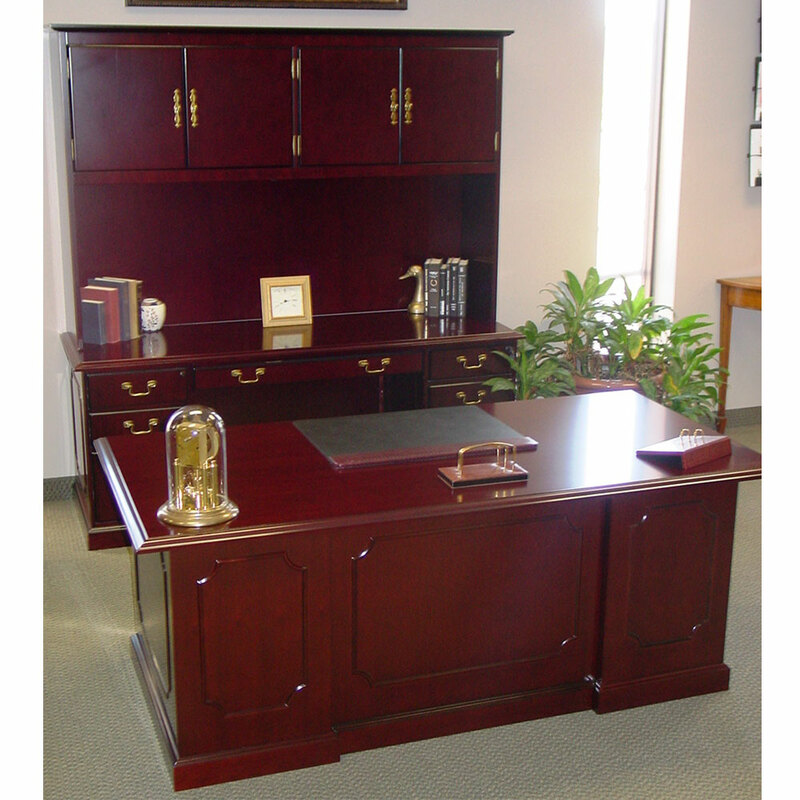 This Traditional Executive Desk set is pictured with a dark mahogany veneer finish. The finish provides superior strength with mar and stain resistance for easy maintenance and a lasting beauty. 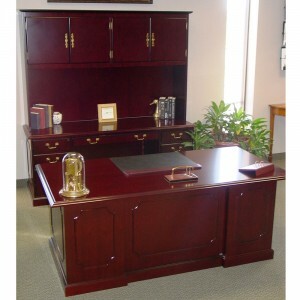 The molding accents around the front and sides of each piece give it a beautiful look for any office. Both the desk and the knee space credenza with hutch is pictured with gold handles/accents and comes with 2 box box file peds and a center drawer in each.